Let’s consider some of the earlier perennial plants that do so much to extend the growing season in the garden. As a garden designer, I’m constantly looking for ways to improve people’s enjoyment of their outdoor spaces, and even though the year’s still young, there are so many beautiful plants that can brighten up borders in early spring, so it’s well worth seeking them out. A careful selection will ensure that you have a constant relay of growth and flowering from late winter through spring and summer and right into autumn. If you’re lucky enough to have a very spacious garden you are spoiled for choice, but in a smaller space editing is everything as each individual plant has to work hard to earn its place. A perennial is really any plant that lives for more than one season, but in this context we are looking at herbaceous, or non-woody, plants rather than shrubs. Some are evergreen and retain green leaves all year, with seasonal flowers, and some die back in winter with new leaves appearing in spring. The beauty of the latter is that they are newly emerging foliage a helps to disguise the browning leaves of early bulbs, which you shouldn’t really cut down until six to eight weeks after flowering. This can get a bit messy but is easily disguised by fresh new perennial foliage. 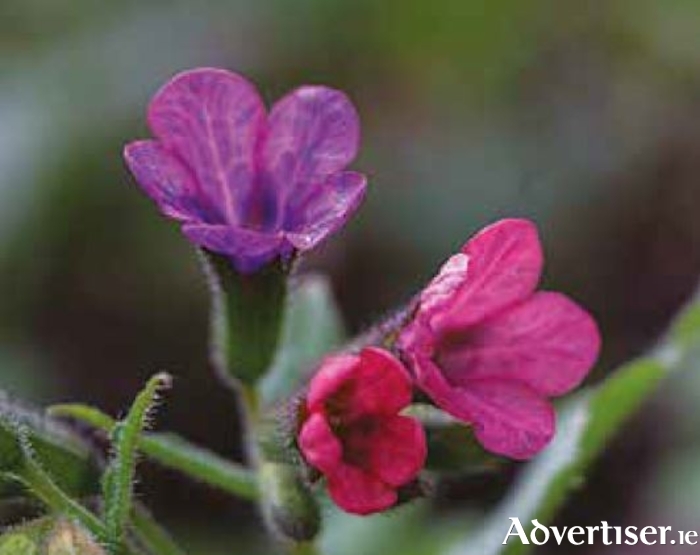 Here are a few of my favourite perennials for early spring: Pulmonaria – some have leaves attractively splashed with white, and flowers are white, blue or pink. Anemone blanda – grown from tubers and often available growing in pots, dainty daisy-like flowers in blue or white – really pretty under a tree. Bergenia cordifolia: Also known as Elephant’s Ears for its evergreen, rounded leaves, a reliable all-year-rounder with early spring flowers in white, pink or red. “Bressingham White” is a good choice if you want to avoid colour clashes with yellow daffodils!